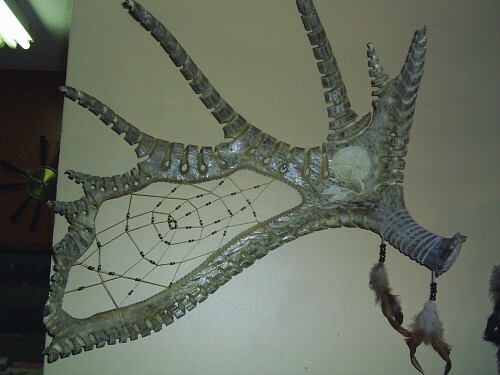 Artwork carved in a piece of elk antler mounted on wood. The wild boar is carved in soap-stone. Bird and snake carved in a "one piece" wood. 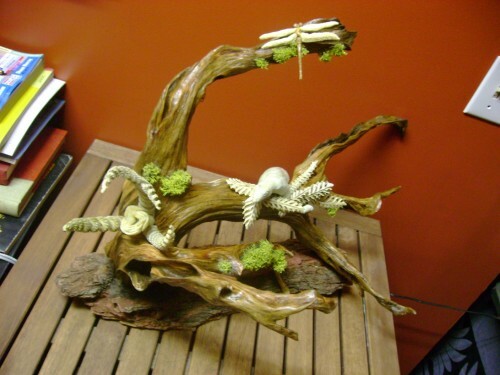 Artwork carved in a piece of elk antler, some abalone are inlayed in the piece. The picture doesn't show it but this piece is a "double-helix"; which means the spirals are going in reverse of each other from the top to the end of the handle. 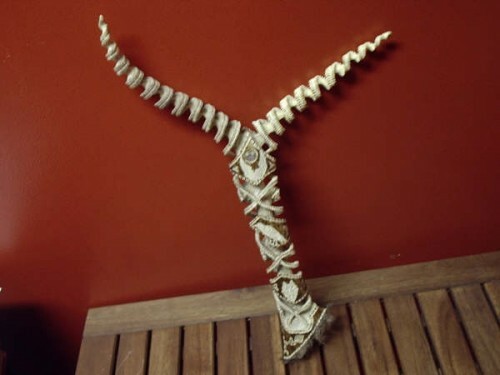 There's also seven animals carved on the handle which represents some shaman's spirit guides. This Artwork also received a Shaman's blessing. 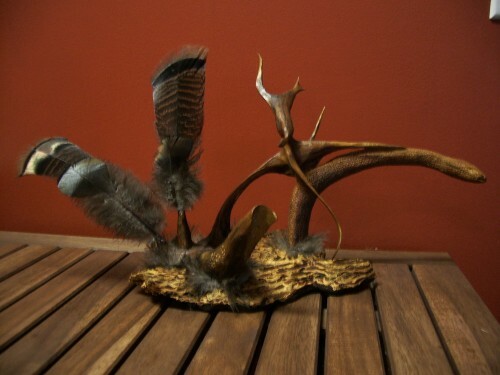 Master piece of many carvings put together mounted on a British Columbia desert's sage wood. The Tulip is carved in a tagua nut, the leaves are carved in deer antler. 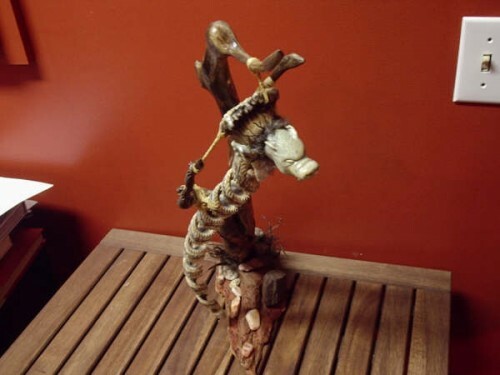 Dragonfly carved in mammoth ivory pieces; two different colors of mammoth ivory have been used. Lizard carved in soap-stone, the leaves of the nest are carved in elk antler.